IMMA invited Brian Hand, artist, writer and lecturer, to respond to this subject. In his essay, A struggle at the roots of the mind: service and solidarity in dialogical, relational and collaborative perspectives in art, Hand focuses on three aspects of Participatory Arts: Dialogical Art, Relational Aesthetics and Collaborative/ Collective Art Projects, as a means of exploring some of the key issues which inform and shape contemporary Participatory Arts practice. Raymond Williams in his definition of community offers the dialectic of solidarity and service (working with people or voluntary work sometimes paid), and sees this dialectic on a philosophical level as operating between idealism and sentimentality.1 For Williams solidarity equals positive change whereas service equals the paternalistic status quo.2 In this short essay I will explore how this dialectic between service and solidarity in relation to concepts and practices surrounding art forms that have prioritised an active social dimension has been conceptualised in recent art theory. 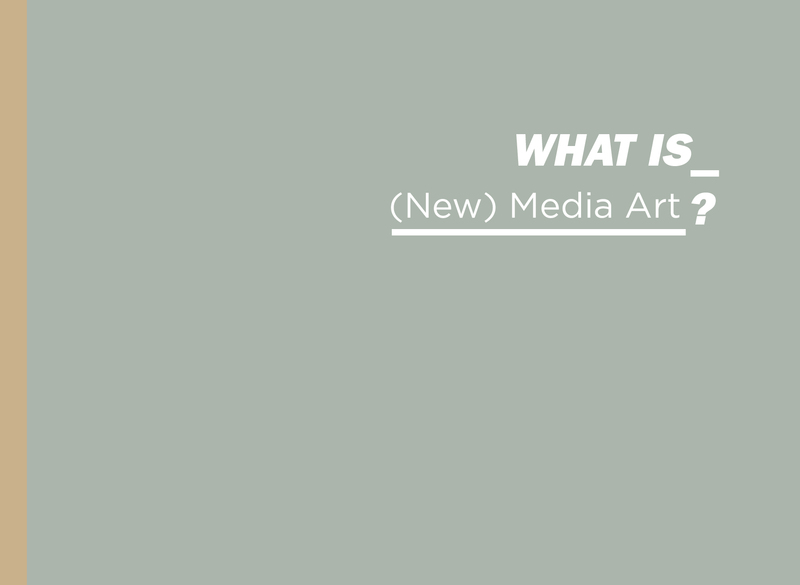 A socially engaged or community based art practice is a current theme in discussions around contemporary art. 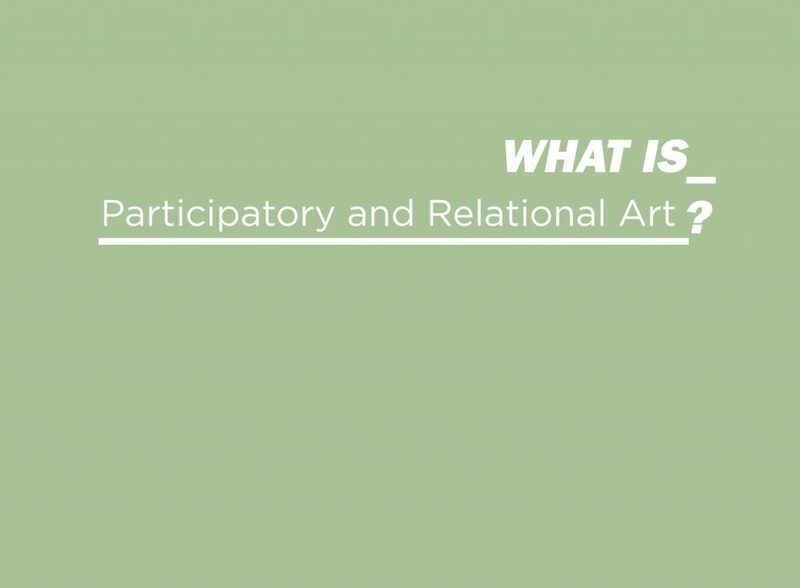 This subject is very broad so to lessen the confusion I will look at just three distinct participatory approaches: dialogical art, relational aesthetics and collaborative/collective art projects. In the past 50 years, community based visual arts have emerged within working class and marginal communities both here and elsewhere and are now a well established set of practices aligned with the broad principles of community development. While participatory arts in general are recognised as an important tool in a bigger scheme of grass roots social empowerment, a weakness in state supported community based arts activities, besides inadequate funding, has often been the top down approach of sponsoring agencies/institutions. In this familiar scenario artists are parachuted in and out and little attention is given to long term engagement. In our age of consumer orientated individualism, community, as Homi Bhabha reminds us, is something you develop out of.3Community can imply a herd like conformity, a suppression of difference, or simply the ideal of individual freedom. The Arts Council has dropped the once popular term ‘community arts’ for the more neutral and arms length term ‘participatory arts’. Indeed, while the definition of community resists empirical study and interpretation there is something similar in the resistance to profit in the community artwork which, because of multiple authorship/ownership, remains unexchangeable and therefore economically unviable within the traditional art market and auction houses. So while the challenge art poses to fixed categorical systems and instrumentalising modes of thought is important, it is not necessarily simply located in the artwork itself as a discreet, bounded, formally innovative object. Rather Kester argues that the tendency to locate this principle of indeterminacy solely in the physical condition or form of the work of art prevents us from grasping an important act of performative, collaborative art practice. “An alternative approach would require us to locate the moment of indeterminateness, of open-ended and liberatory possibility, not in the perpetually changing form of the artwork qua object, but in the very process of communication and solidarity that the artwork catalyzes”.11 To uncouple the material form from social practice is not as straightforward as Kester makes out because both are overlayed and imbricated thoroughly in the history of Modernism. For Kester, dialogical art is an approach that separates itself from both the traditional non-communicative, mute and hermetic abstract modernist art (Rothko, Pollock, Newman) and the more strident innovative heterogeneous forms of shock based avant garde work (such as the Futurists, Surrealists and Dada movements or the more recent examples of work such as Christoph Schlingensief’s public art project Foreigners Out!) designed to jolt the hapless alienated viewer into a new awareness. Kester argues that both anti-discursive traditions hold in common a suspicion about shared community values and that ‘art for the people’ suggests an assault on artistic freedom, individualism or even worse raises the spectre of fascism and Stalinism.12 While such fears are grounded in history, in many peaceful and settled democracies not under immediate threats from extreme ideology, the tradition of anti-discursivity, isolation and negation still resonates in mainstream aesthetic practices. Dialogical art, or conversational art as Bhabha termed it, foregrounds the encounter and interpretation of the co-producers of the art work and as such is against the traditional scenario where a given object or artifact produced by an individual artist is offered to the viewer. Some examples for Kester of solidarity orientated dialogical art include some of the work of WochenKlausur, Suzanne Lacey, Hope Sandrow, Ne Pas Plier, Ultra Red, Maurice O’Connell and the ROUTES project in Belfast in 2002. Examples of work closer to the service or paternalistic end of the spectrum for Kester, include some of the work of Alfredo Jaar, Fred Wilson, and Dawn Dedeaux. Joining or forming a collaborative art group or collective may impoverish you, but it is paradoxically good for one’s individual identity and at least your life expectancy. As our society dismantles most of the traditional groups like the nuclear family for example and replaces them with consumer orientated lifestyles, collective identity can re-value individual participation and self worth. As Habermas has argued “a person can constitute an inner centre only to the extent that he or she can find self expression in communicatively generated interpersonal relations”.25 In this sense, the agency to express solidarity or opposition with the other, is significantly different to the relentless mass organisation of our lives into stratified data banks, market segments, audiences, biometrics, google accounts and biological samples, what Deleuze calls the administered forms of collective control. Raymond Williams, Keywords, London: Fontana, 1988. Virginia Nightingale, Studying Audiences: The Shock of the New, London: Routledge, 1996, p. 14. Homi Bhabha, ‘Conversational Art’ in Mary Jane Jacob and Michael Brenson (eds. ), Conversations at the Castle: Changing Audiences and Contemporary Art, Cambridge, Mass and London: MIT Press, 1998, pp. 38-47. Homi Bhabha, The Location of Culture, London: Routledge, 1994. Partha Chatterjee cited in Homi Bhabha, 1994, p. 230. Grant Kester, Conversation Pieces, California: University of California Press, 2004, p. 150. For this broad discussion see Homi Bhabha, 1994; Jean-Luc Nancy, The Inoperative Community, Trans. Peter Connor, Minneapolis: University of Minnesota Press, 1991 and Chantal Pontbriand, ‘Jean-Luc Nancy / Chantal Pontbriand: an exchange’, Parachute Contemporary Art Magazine, October 01, 2000, pp. 14-30. Mary Douglas, Purity and Danger: An Analysis of Concepts of Pollution and Taboo, London: Routledge, 1991, p. 303. Grant Kester, 2004, p. 10. Grant Kester, ‘Dialogical Aesthetics: A Critical Framework for Littoral Art’ in Variant 9, 1999. Grant Kester, 2004, p. 171. Gregory Sholette, ‘Some Call it Art: From Imaginary Autonomy to Autonomous Collectivity’, www.gregorysholette.com/writings/writingpdfs/06_somecallit. pdf, 2001. See Claire Bishop, ‘Antagonism and Relational Aesthetics’, in October, 110, 2004, pp. 51-80; Claire Bishop, Installation: A Critical History, London: Tate Publishing, 2005; Hal Foster, ‘Arty Party’, in London Review of Books, 25:23, 4, 2003 and Stewart Martin, ‘Critique of Relational Aesthetics’, Third Text, 21(4), 2007, pp. 369-386. Nicolas Bourriaud, Relational Aesthetics, Dijon: Les Presses Du Réel, 2002, p. 42. Liam Gillick cited in Claire Bishop, 2004, p. 61. Theodor Adorno quoted in Rubén Gallo, ‘The Mexican Pentagon Adventures in Collectivism during the 1970s’, in Blake Stimson, and Greg Sholette (eds. ), Collectivism After Modernism, pp. 165-193, Minneapolis and London: University of Minnesota Press, 2007, p. 170. Nicolas Bourriaud, ‘Public Relations’, Interview with Bennett Simpson, Artforum, April 2001. Robert Atkins, ‘Politics, Participation, and Meaning in the Age of Mass Media’, in Rudolf Frieling (ed. ), The Art of Participation: 1950 to Now, pp. 50-66, London: Thames and Hudson, 2008, p. 58. See Gregory Sholette, 2001; Suzi Gablik, ‘Connective Aesthetics: Art After Individualism’, in Suzanne Lacy (ed. ), Mapping the New Terrain: New Genre Public Art, Seattle: Bay Press, 1995, pp. 74-87; Nato Thompson and Gregory Sholette, (eds. ), The Interventionists: Users’ Manual for the Creative Disruption of Everyday Life, Cambridge Mass and London: MIT Press, 2004 and Blake Stimson and Gregory Sholette (eds. ), 2007. Giorgio Agamben, What is an Apparatus? California: Stanford University Press 2009, p. 10. Jürgen Habermas quoted in Peter Dews (ed. ), Habermas Autonomy and Solidarity, London: Verso, 1992, p. 38. Raymond Williams, Marxism and Literature, Oxford: Oxford University Press, 1977, pp. 206-212.